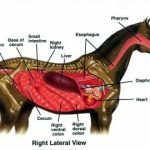 As a horse owner, you must be sure about your horse identification in stable and field. To be sure of identifying each horse as an individual it is essential that the real marks of signalment are backed up by a human-made system of identification. Horse Brands are the most common method of horse identification. 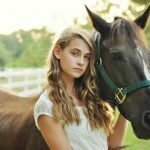 In this article, you will get detail idea on horse branding procedure. 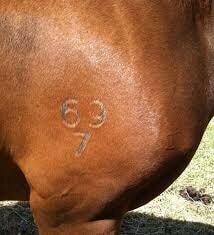 Most horses are branded around weaning time when they are 5 to 8 months old. A variety of types of brands are used. This will distinguish the stock of different owners or breeders. Most states have a brand register to prevent duplication of own brands, but Victoria and Tasmania do not register brands. The owner/ breeder brand is traditionally applied to the near shoulder. This differentiates individual horses born in the one year. The first foal is branded with a “1”, the second with a “2” and so on. This is placed on the offside shoulder above the age horse brand, except in Queensland, where it goes on the near shoulder. This denotes the year of foaling. The last number of the year is used: 1990-0 and 1992-2, for example — the horses with a similar age horse brands maybe 10 to 20 years apart in age. However, the horse’s teeth would allow differentiation of their real age. The age horse brands are placed under the individual brand. This is often applied by an official representative when the horse is classified. Different societies have differing regulations and owners are referred to the various organizations for more information. Andalusian and Trakehners are branded with a social brand. The alpha angle freeze horse brands are applied to standardbreds on the right neck under the mane. It is a coded brand with each symbol corresponding to a number so that the brand is computer compatible. The alpha angle coding system is virtually unalterable. The system relies on only two symbols: unalterable. • Two bars set at right angles. These symbols are rotated to produce the complete set of ten numerals as follows. These branding symbols can be combined to give a great deal of information. The brand S7874325 appears on the horse as shown in Figure. 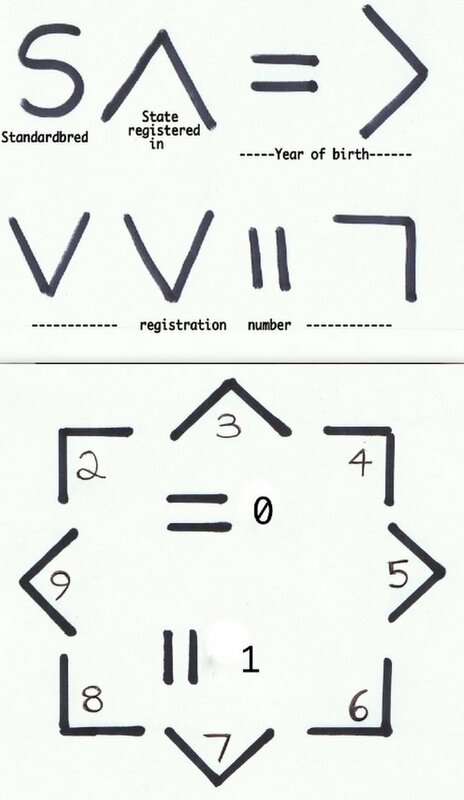 Other symbols = Registration number. 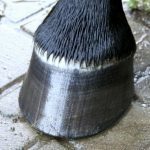 To accurately read the freeze horse brands, the horsehair over the brand may need to be clipped. Occasionally one or more symbols may be missing or difficult to understand. It is essential in all documentation that the symbols are recorded as they appear. Even with missing or indistinct symbols, the freeze brand is a unique identifying mark enabling rapid identification or individual animals. By merely contacting the Registrar of the local Harness Racing Authority and quoting the registration number of the horse from its freeze brand, the identity of the horse and its owner can be quickly ascertained. 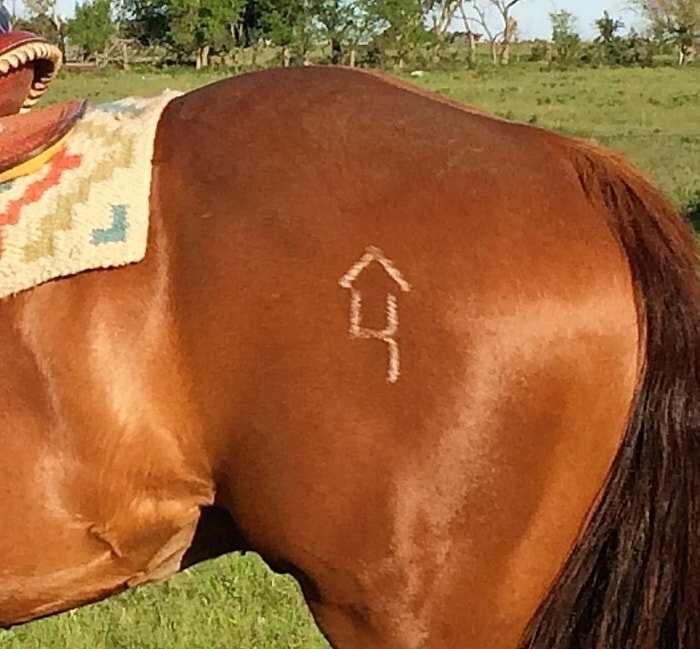 Fire horse branding was the most frequently used method of identifying horses, but its use is now declining. 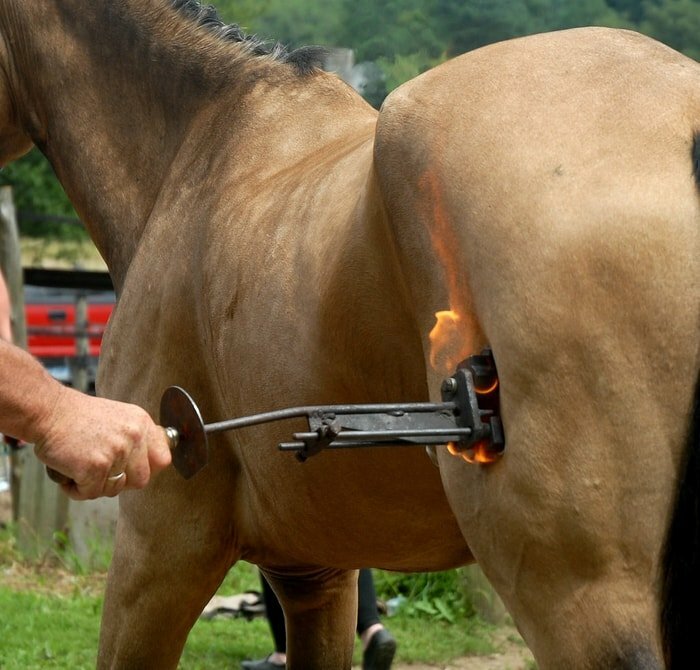 A hot branding iron is used to cauterize the skin, and this produces a permanent scar. Hair then grows on the raised surface of the injury, and the brand can usually be read when turned towards the light. Smoothing the hair down by hand or damping the hair will aid identification, but in some cases, the hair will have to be clipped to read the brand. A complete set of ten numerals from ‘‘0”to ‘‘9 ” will be needed before branding. An owner brand is also required. The horse brands should be between 30 millimeters and 30 millimeters high. The horse brands will grow with the horse; foals or young stock should be branded with a small iron about 30 millimeters high. The brand on a foal will increase in size by about one-third by the time the foal is full-grown. 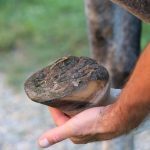 Large brands are unsightly, and 50 millimeters is big enough for a brand on a full-grown horse. On average, the width of the burning edge of the iron should not exceed 4 millimeters to 5 millimeters. Take care not to damage branding irons. A hot iron can be easily bent if dropped. Mild steel brands are very susceptible to rust and corrosion. A pitted or damaged branding iron can produce an illegible brand. Brands should be hung up in a dry place when not being used. The first step of clipping the hair from the area to be branded. This should be a flat surface, and suitable positions are the shoulder, thigh, and buttock. Removing the hair lessens the application time needed and helps to ensure that the branding iron is in total contact with the skin. Make sure the area to be branded is quite dry and clean. Clipping can be done while the iron is being heated. The usual method of heating is by open fire or gas blowtorch. Make sure the brand is heated evenly. The color of the branding iron indicates how hot it is. 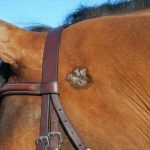 For young horses, heat the brand to a brown or slightly red hue. 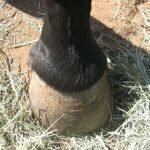 Heat to a brighter red color for older horses as their skin is more stringent. Dark-colored horses also require a hotter brand. 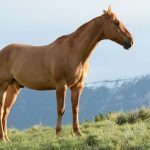 Have an assistant position the horse against a fence or wall, preferably in a corner to restrict the horse’s movements. It may be necessary to apply a twitch to make sure that the horse does not move. The assistant should cover the eye of the horse to prevent it from seeing the horse brand is applied. Check that the horse brand is the correct way up and use it with firm pressure for 1 to 2 seconds. Don’t hesitate when applying the brand as movement between the brand and the horse will result in an inferior quality brand. If applied correctly, the brand should be a dark brown color. If the skin is broken due to an overheated iron, use some dressing to prevent infection. A fly repellant may also be useful. Fire branding has the advantage of being cheap, quick and easy to apply, and the brand is not unsightly when correctly used. 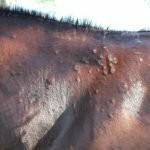 Its disadvantages are that it may cause pain to the horse when applied and it can often be hard to read. Brands can be read from a distance and brand quality is much less variable compared with firebrands. Some owners do not like the appearance of a freeze brand. Freeze-branding irons need heads made of copper. The brand should be between 30 and 80 millimeters high. 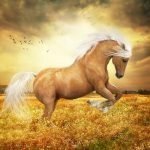 The brand will grow with the horse, so young horses should be branded with the horses should be branded with a small iron about 40 millimeters high. The width of the iron should not be more than 5 millimeters. If you are using the alpha angle system, only two symbols are needed. Traditional methods require ten numerals, “0’’ to “9’’, and an own horse brand. At first, the hair must be clipped from the branding area. This allows complete contact with the skin. Thoroughly wet the area with methylated spirits just before applying at the brand. Two methods are available to chill the irons. Dry ice and methylated spirits in an insulated metal container will chill the irons to -70 degrees Celsius in 20 minutes. Rechilling takes 5 minutes and is indicated by frosting on the handles. Liquid nitrogen will cool the irons to -200 degrees Celsius in a few minutes. The brands are cold enough when the liquid nitrogen stops bubbling. Asbestos gloves must be used when freeze branding. Before applying the brand, ensure the horse is suitably restrained to minimize movement while branding. A nose twitch is not usually necessary but can be used with jumpy horses. Check that the brand is the right way up then apply it with firm pressure for 10 to 30 seconds. Greys require 40 to 60 seconds. On a hot day, use the brand for longer times. White hair will appear in a few months on the brand site. Do not fill in brands on a registration certificate until you can see the white hair. Though horse brands are costly and painful for horses, most of the horse of the world are branded. The branding procedures need careful attention by the owner and you must be made by experienced persons. There may be some little problems may arise and veterinary first aid may remove the ailments. 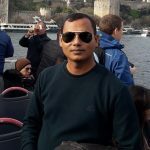 I think these much of pieces of information will help you a lot. Please subscribe to our website and share the article with your friends via social media.